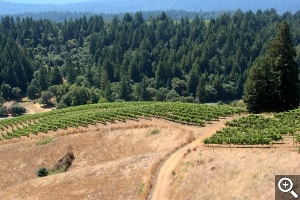 Welcome to the Fall 2011 newsletter from Rhys Vineyards! Peaceful morning beauty at Family Farm. as California’s notorious late-season heat spikes appeared in September and we were forced to scramble to pick all of the grapes at optimal ripeness. Overall the 2009 vintage will be remembered as an outstanding, “easy” vintage that only required a bit of last minute harvest heroics. Now that the wines are in bottle, our 2009s show a consistently forward, concentrated and charming personality. Compared to the firmly structured 2007s and 2008s, the 2009s will be much more appealing to drink at a young age. This approachable personality does not mean that the 2009s are exclusively “early drinking wines”. Their ripe structure, beautiful depth and balance should allow them to age effortlessly and improve for the next 10 to 20 years. In 2009 we chose only the most shallow soiled, rocky Chardonnay blocks for our Horseshoe Vineyard designate. This rigorous selection left many excellent barrels for our first Santa Cruz Appellation Chardonnay. In addition to the forward, rich fruit, this bottling offers tremendous minerality and complexity on the long, focused finish. This is a wonderful example of Rhys Chardonnay that is currently drinking very well. Similar in style to our 2008 Pinots, this 100% whole cluster Syrah is powerful, balanced, complex, and structured. While it can be appreciated for its muscular, primary fruit over the next few years, it really begs for some cellar time. Like a great Hermitage, the tremendously complex personality of this vineyard will come into full expression when allowed to reach maturity. Our team feels that this is the finest Family Farm Pinot Noir that we have produced to date. It is charming and delicious with wonderful rose petal and stony notes on the nose. The graceful, vibrant, juicy fruit and loamy complexity of this wine make it hard to resist now but we expect it to improve for many years. 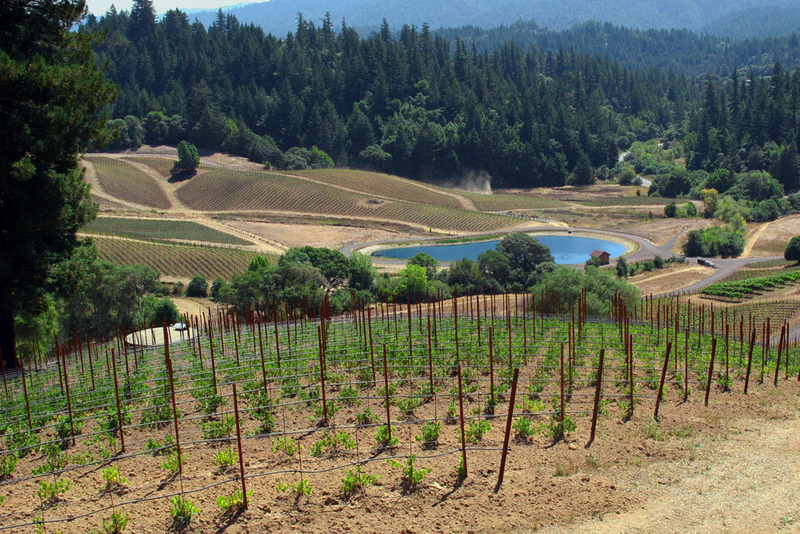 Following our purchase of this vineyard in 2008, we began an extensive revival of the existing 6 acres of vines. This is the first vintage in which we managed the vineyard for the entire season. It was very exciting to see how much the vineyard improved in just one year. The 2009 Bearwallow is ripe and spicy and most importantly it exhibits plenty of the red fruit and minerality that attracted us to this region. With its trademark weightless fruit and terrific spicy mineral notes, this high altitude, rocky vineyard is emerging as a real superstar in our lineup. Unfortunately, our 2009 production fell 50% from 2008 levels and we will only be able to offer a single bottle to customers this year. Regrafted grapevine at Family Farm. 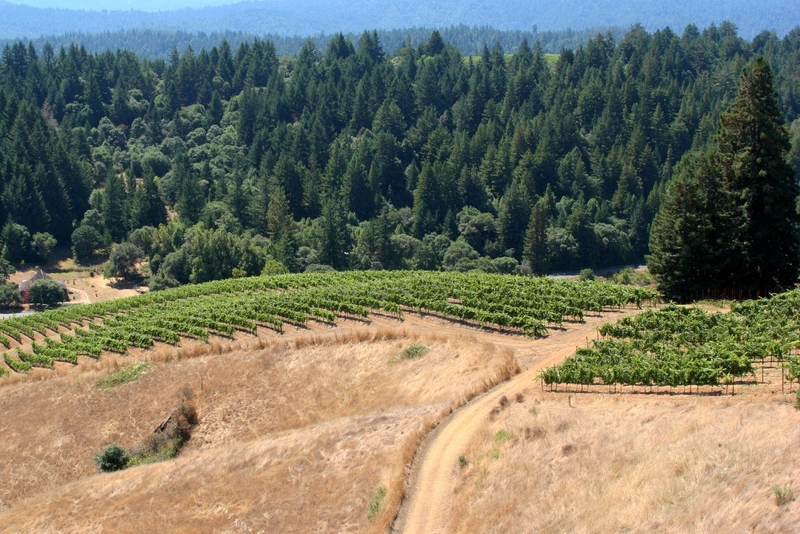 Nestled on a northeasterly slope in the foothills of the Santa Cruz Mountains, Family Farm vineyard is not as wild or dramatic as our mountain vineyards. Instead it is peaceful and bucolic with a tendency to set a good crop nearly every year. As with all of our young vineyards, we have been learning a great deal about how to produce the best wine from Family Farm. The first big breakthrough occurred when the vines had matured enough that we could “dry farm” the vineyard; it has not been irrigated since 2007. Vineyards produce the best possible wine when the vines are perfectly and naturally balanced. When this is achieved, the vines require a minimum of farming and move from flowering and leaf production to ripening at just the right moment of the growing season. With each vineyard, we have experimented extensively to find the vineyard composition (combinations of clones, spacing and rootstock) that achieves this ideal balance more frequently. At Family Farm this pursuit dictated that we regraft 1/3 of the vineyard and remove the two acres from production during both the 2007 and 2008 vintages. This decision was very expensive but was amply rewarded when the vines returned to production in 2009. After these changes in vineyard management and vine material, we feel that 2009 produced our finest Family Farm Pinot to date. New hillside plantings at Bearwallow. We have been hard at work improving this exciting vineyard since its purchase in 2008. 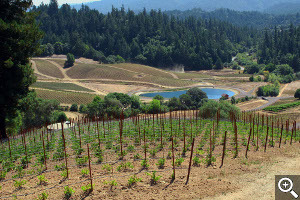 As a bit of background, Bearwallow vineyard is located in the coolest, most westerly “Deep End” of Anderson Valley. We were drawn to this remote location after tasting some nearby examples of precise, minerally, crunchy-fruited Pinot Noir and our belief that the steep, rocky slopes and cool climate could make benchmark California wine. As with most wine related endeavors, there is no instant gratification and after purchasing the property we began a multi-year project with the goal of unlocking this vineyard’s potential. We have now planted over 17 acres of Pinot Noir and 8 acres of Chardonnay. Using the experience that we have gained from carefully evaluating our prior five vineyard projects, we have chosen a variety of rootstock, scion and spacing combinations for the various hillside expositions. All of these plantings are tightly spaced and exclusively situated on the rocky slopes. Most of the new plantings are a mixture of heritage and suitcase clones that we have selected from our existing vineyards. These “Rhys Selection Massale” cuttings are grafted on tightly spaced, low vigor rootstock. It will be really exciting to see the first production of these new plantings in 2013! Meanwhile we have been training and nurturing the existing 6 acres of Pinot Noir into top form. Even though these twelve year-old vines are very good selections of Pinot Noir clones and rootstock, at first we weren’t convinced that they would be capable of producing the highest possible quality wine. 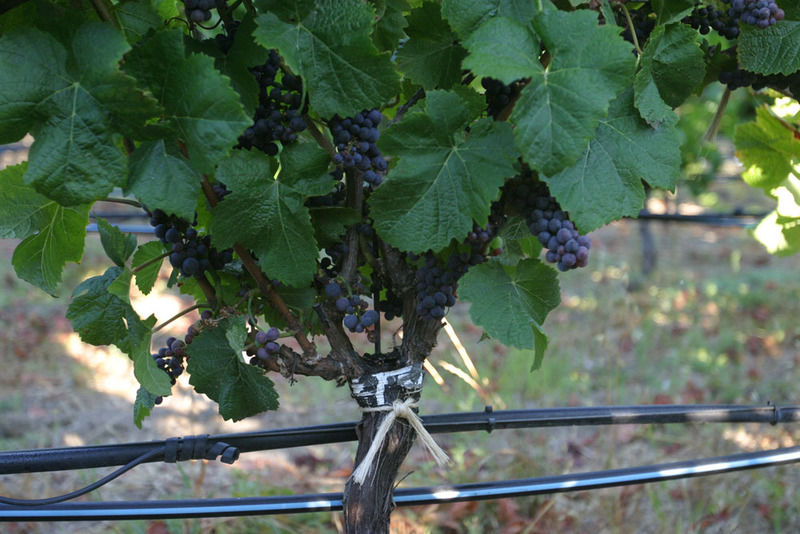 After tasting the steady progress in quality from 2008 to 2009 to 2010, we are now convinced that these vines can produce truly great Bearwallow Pinot Noir. Bearwallow’s older vines are thriving! As we approach our eighth estate harvest, we have had to face some stark realities. 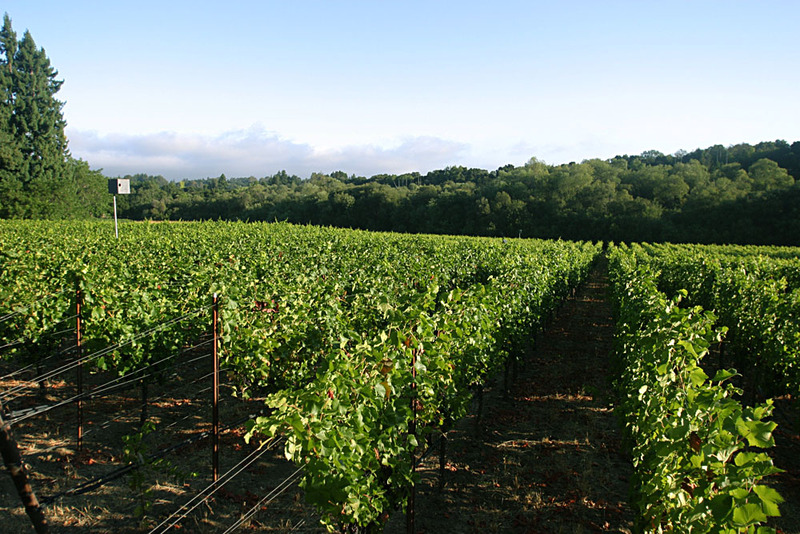 Our vineyards are located in some of California’s coolest and most challenging microclimates. While we are thrilled with the quality produced by our sites, our cool June weather often causes poor flowering and lower yields. Until this point, we have begun each season with the optimistic notion that the coming year would finally give us better yields of grapes from our challenging vineyards. Occasionally this has happened and vintages like 2006 and 2009 produced reasonable yields of around 2 tons per acre (which is still quite low by commercial standards). Meanwhile, we saw decimated yields in 2005 and unfortunately this situation has struck again in 2011. 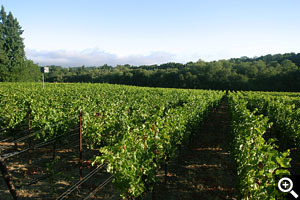 Both 2010 and 2011 have been extremely cool years in California and yields were reduced by 20% and 60% respectively. This means that the number of bottles from each of our vineyards can vary a great deal from year to year, making for very problematic variable allocations to our customers. We always try to offer at least two bottles of any wine, but it seems that this will not always be possible. 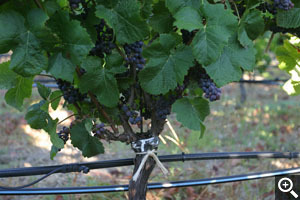 In 2009 despite good yields in most of our estate vineyards, Skyline Vineyard’s Pinot Noir production fell by 50%. While we know that single bottle allocations are not very desirable, low quantities required us to drop allocations to a single bottle of Skyline Pinot in this release. In 2010 Skyline’s Pinot Noir yields fell even further to just 25% of 2008 so unfortunately the single bottle allocation will remain until the 2011 vintage is released. On a much more positive note, allocations of the remainder of our 2009 bottlings will be higher than they have been in the past. As usual, all wines are offered with free ground shipping and upgraded shipping is offered as well. Additionally, we will be hosting a pickup day at our Skyline cave on Saturday, November 12th from 10AM – 3PM. If you would like to attend the pickup day, please be sure to select “Pick­­up at Winery” shipping option during checkout. We look forward to seeing you!